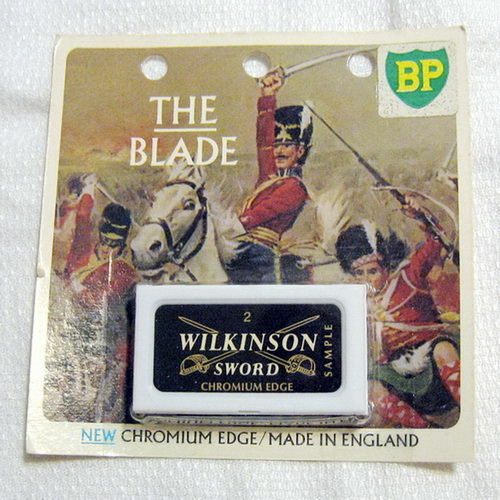 I dislike the term 'unobtainium,' but if anything fits the definition it is these Wilkinson 'Light Brigade' blades, extremely rare and difficult to find and thought by many to be the very finest blades ever produced. For most men they will last 20+ shaves without dulling, and they will provide extraordinarily smooth shaves in both vintage and modern razors. They have not been available retail for many years. 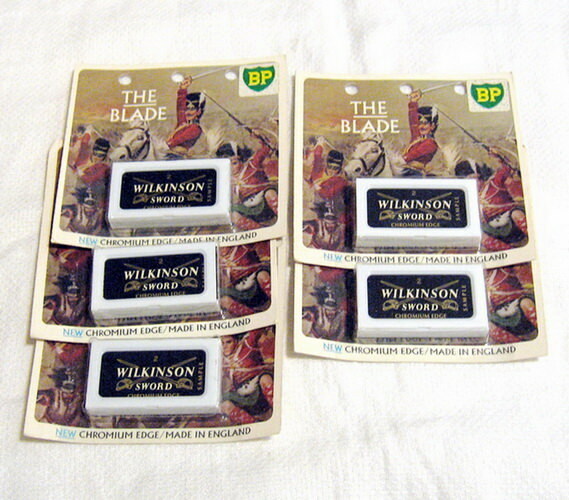 I wonder what the difference is between these blades and the other Wilkinsons made in England in the same era. Did they grind them slightly differently? Different coating? Someone here may know, but I don't. But they certainly are different. I'm selling some Sensor razors on eBay, and within the models (Sensor/Sensor Excel), the buyers make a big distinction between ones made in different years. Even being made in the USA isn't enough. The earliest ones attract the most buyers, even at much higher prices. These aren't collectors, either - they're trying to get an exact copy of what they were using. 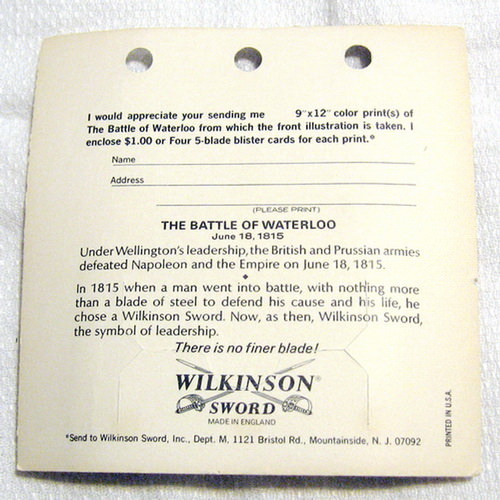 I have some old English Wilkinson blades, but they happen not to be Light Brigades. Since they don't get nearly the premium commanded by the "magical" blades, I'm probably just going to go ahead and shave with them. Fortunately, they're mostly individually wrapped. I had a lot of fun separating some other English Wilkinsons stuck together with very old oil in a metal "push" dispenser. I had a lot of fun separating some other English Wilkinsons stuck together with very old oil in a metal "push" dispenser. Ah, yes. I had that joy a couple times, too, with Personna 74s. I ended up tossing some into the recycling. I have a number of Personna 74 blades in dispensers. I had to pry the top metal piece off of the dispenser, after which I could peel off each blade. Even when I got the metal top off the holder, the blades were so stuck to each other that I used a worn blade to separate them. That doesn't sound good. I still have some 65 blades in dispensers. A bunch of them probably won't be a problem. Just extract one at a time as you need them. The real problem for me in the past was that sometimes the stuck together blades were also really corroded, some so badly that I had to pitch them out.